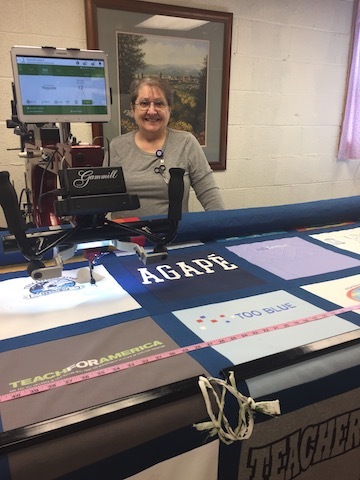 I purchased my Gammill Vision longarm machine in 2011 and upgraded to a Vision 2 in 2015. 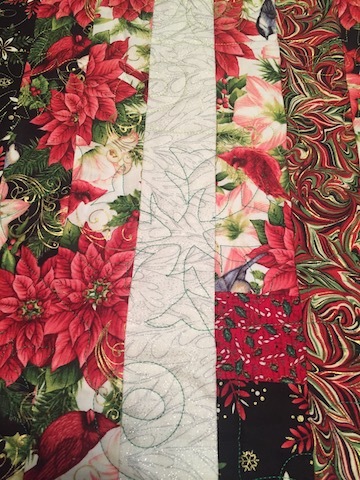 There is no computer attached to my machine so all my quilting is hand-guided, using pantographs. 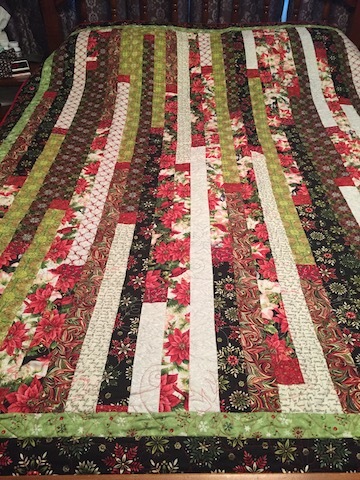 My pantograph library consists of over 100 designs ranging from formal feather designs to baby booties to flowers to dog bones to snowflakes and modern designs. 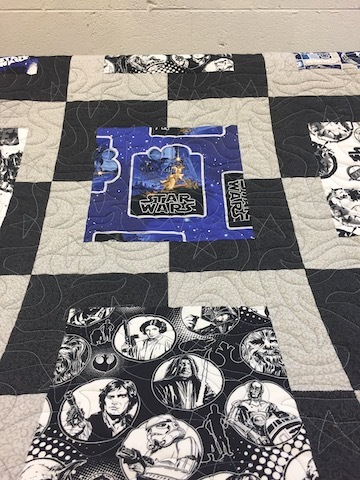 There is one that will be perfect for your quilt. 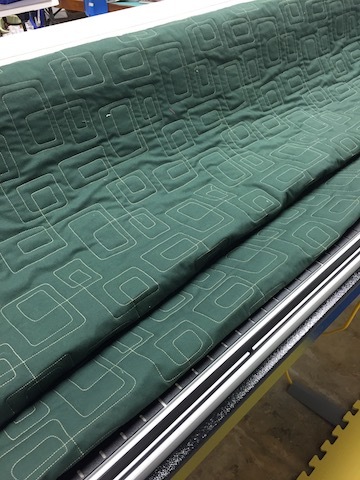 I can provide several types of batting – cotton, polyester and blends. You can provide your own batting or purchase from me. 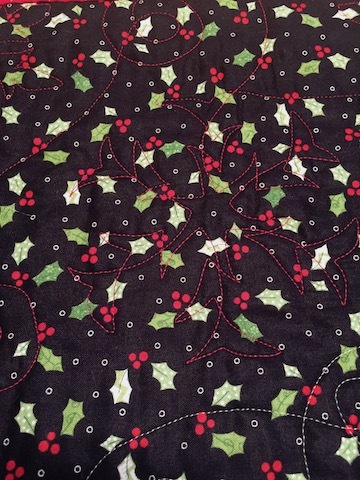 I also have an embroidery machine on which I can make labels for your quilts. 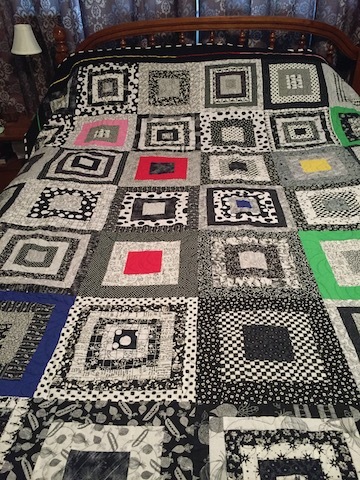 Every quilt should have a label showing the name of the quilt, the makers name and the year the quilt was finished. My collection of thread is quite extensive and includes both cotton and tri-oble polyester which has a beautiful sheen to it. 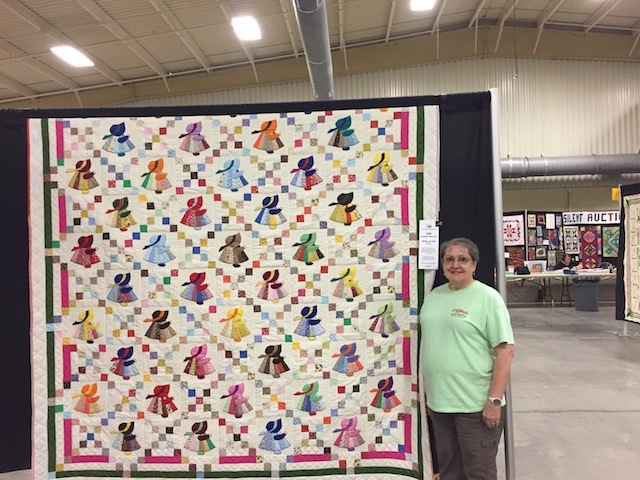 Two of my quilts have won awards at the Asheville Quilt Guild annual quilt show. 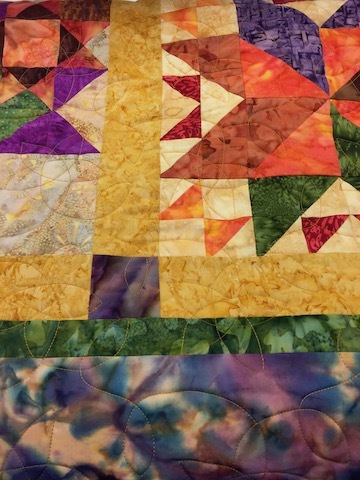 Quilts that I have quilted for some of my customers have also won prizes at regional quilt shows. 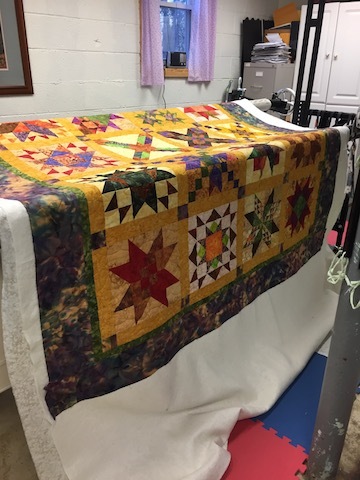 Please call me, Brenda Baldwin, at 828-684-6939 to discuss your quilting project, get a free estimate, or to make an appointment to come by my Arden studio. 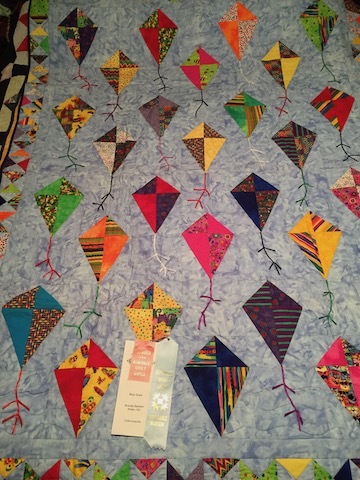 You can also email me at B3quilting (at) yahoo (dot) com. 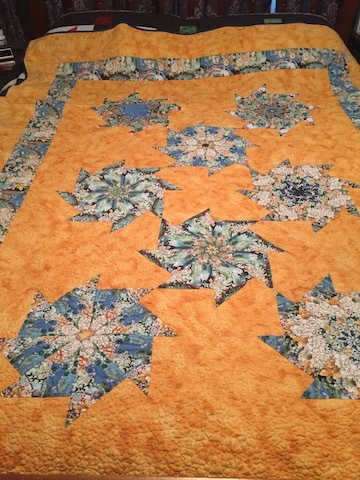 I look forward to helping make your beautiful quilt tops into family treasures.